The link between movies and advertising is complex, but it is an important one for studios, actors and advertisers alike. Advertising is key to making films profitable in multiple ways. There are discussions going on about how to better use advertising in films and how better to advertise future films. There are two main categories of movie advertising: advertising for companies within films and advertising to promote movies. They are all different sides of the same coin and all important factors in the profitability of movies. Every once in a while, when watching a film, you have probably been very aware of a product placement. When these product placements are done in an awkward way, you usually notice, but the vast majority of the time, you probably soak up advertising in film without even realizing it. Every time you see a character sip a certain brand of soda, drive a certain kind of car, buy a specific brand of beer or shop in a particular store, you can almost bank on the fact that the company in question paid good money to be represented in the movie. This is a win-win situation for both sides. Advertising money from these sources plays an important role in making up the funding for films. For the advertisers, their products gain greater recognition. If everyone in the movies is drinking Coke, even without thinking about it, people are encouraged to embrace Coke as their soda brand. There is a downside for everyone involved. If a movie is a flop, advertisers may not get enough bang for their buck. If an advertiser is investing a great deal of money and working with a studio on a regular basis, they may be able to put pressure on filmmakers to tone down content they find too extreme or otherwise influence the film itself. The advertising budget for all of these things varies greatly from film to film. Studio executives devise an advertising budget based on a number of factors, including how many theaters they predict the film will open in, the past box office earning potential of the movie stars and the past performance of similar films. Actors are often contractually obligated to engage in promotion for the films in which they appear, including taking photos for print ads, attending premiers and doing the press circuit, sometimes in several different markets. Film studios and advertisers alike are always looking for new ways to increase their revenue from movies. Cinemagoers will have already recognized some of the changes. Instead of hearing Muzak upon entering theaters, these days you see Coke-sponsored movie trivia games up on the screen or listen to snippets of movie soundtrack songs. Before the movie previews even begin, there are product commercials similar to TV commercials. Some people in the film industry are pushing for more as movies are getting more and more expensive to make. Some people in the industry are pushing for TV style commercials to be dispersed throughout a film. Others suggest one big commercial midway through. This idea has been met with resistance from audiences, directors and actors. Audiences do not like the idea of the putting up commercial interruptions in films, and actors and directors do not like the idea of breaking up the flow of the film. 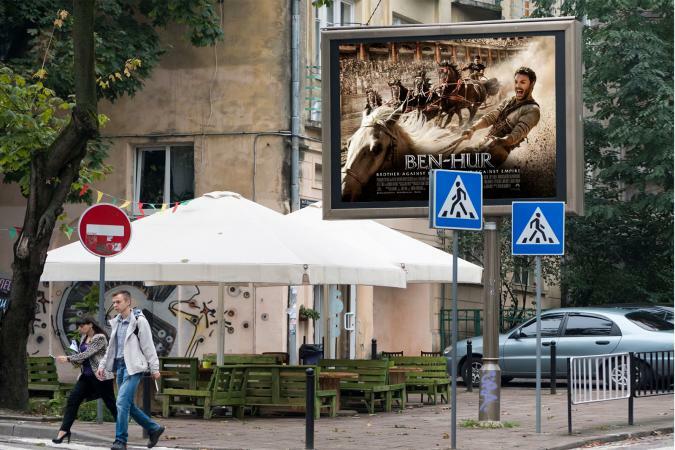 Whether or not studios go this far with movie advertising, movie goers can expect advertising and films to only strengthen their relationship in the future.